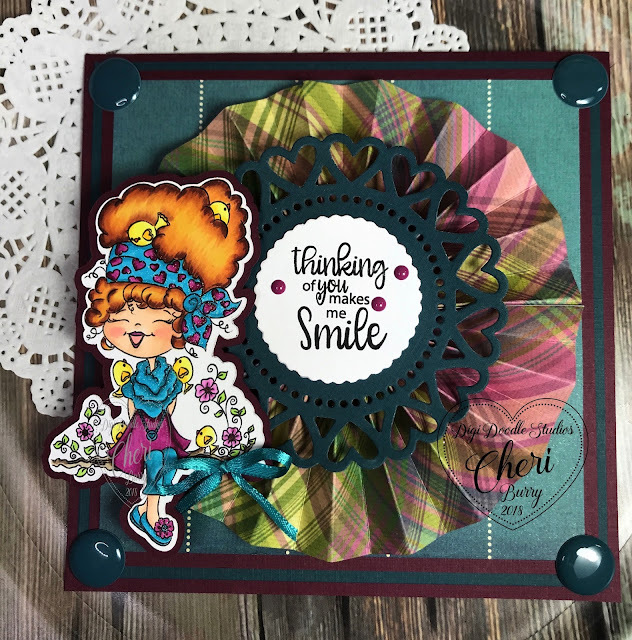 CheriB Designs: Thinking Of You! 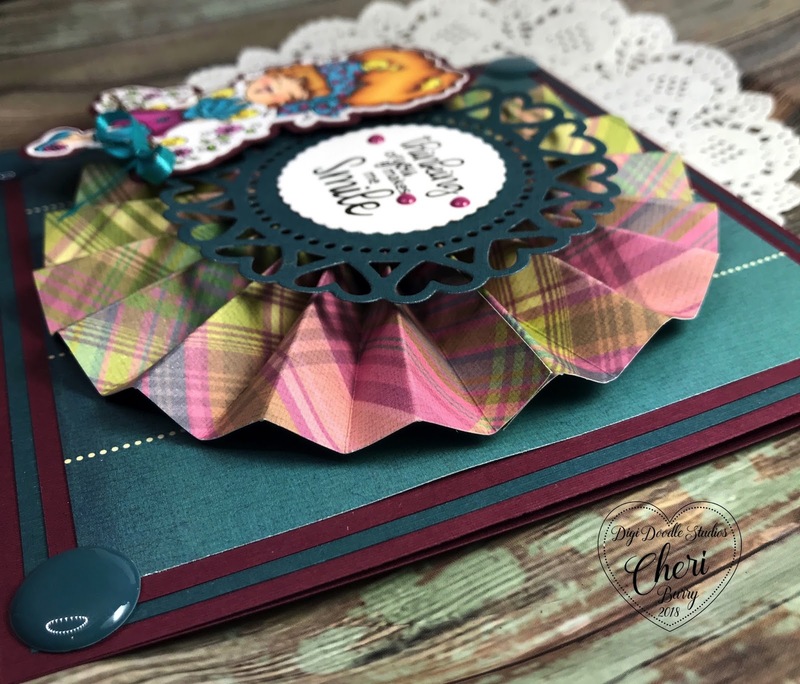 It's the start of a new month so that means it's also the start of a New Challenge over on the DDS Challenge Blog! 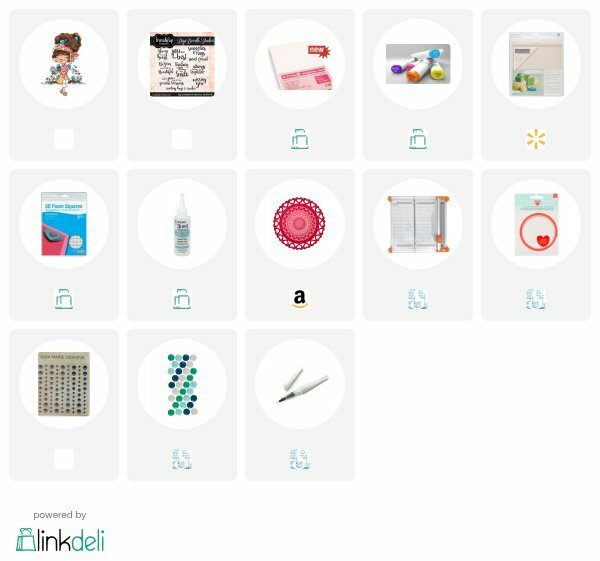 The theme for April is "Spring Fever"! Today I am sharing with you a card I created using the Digi Doodle Studios digital stamp image called "Birdy". The little birds in her hair just make me giggle, I mean how cute is that!!! And of course with Spring comes the return of some of the birds that "vacation" in the south LOL! 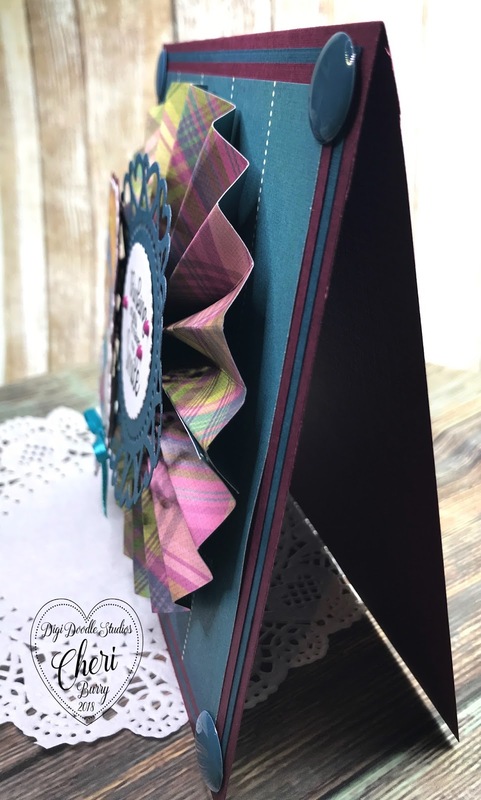 I was inspired by a post I saw on Facebook where the Designer created a Lollipop card using a rosette. I decided to give it a try and made my own version. I cut 2 strips of patterned paper at 2 1/2" by 10". Then using my Score Board I scored each strip every 1/2". Then all you have to do is fold the strips back and forth. I joined my 2 strips with some tape making a circle. Then just push it all down and glue the middle together. It made a 5" rosette. After it was completely dry I added it to my 6" square card base! 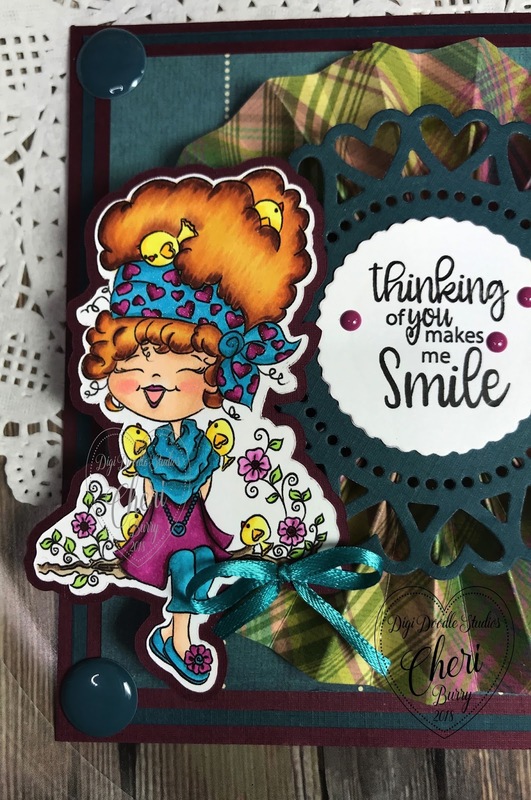 Then all I had to do was add my image, a bow, some enamel dots and a DDS sentiment from the "Friendship" digital sentiments collection, and my card was done. Here you can see how much dimension the rosette adds to my card. Not sure how I am going to mail this LOL, but I'll figure it out! I hope you'll join us over on the DDS Challenge Blog and share with us your "Spring Fever" creations! OMGee! I LOVE the rosette and your colouring and colours are perfect!!! Just WOW!!! Love everything about this my talented friend!